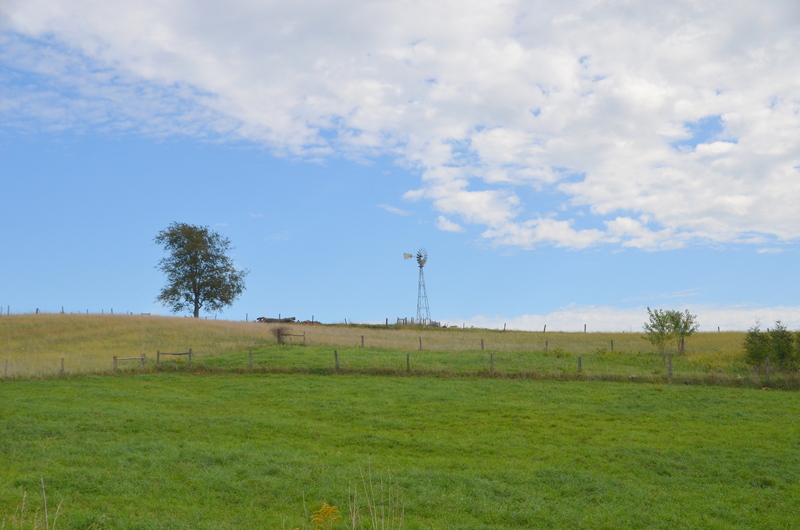 Holmes County Ohio | The Happy Wonderer ~ ellen b. Posted on October 19, 2016 by Ellen •	This entry was posted in Fences, Signs and tagged Autumn 2016, Fall, Good Fences, Holmes County Ohio, Mrs. Yoder's Kitchen, Signs signs, Troyer Country Market. Bookmark the permalink. Another plentiful harvest to be thankful for! 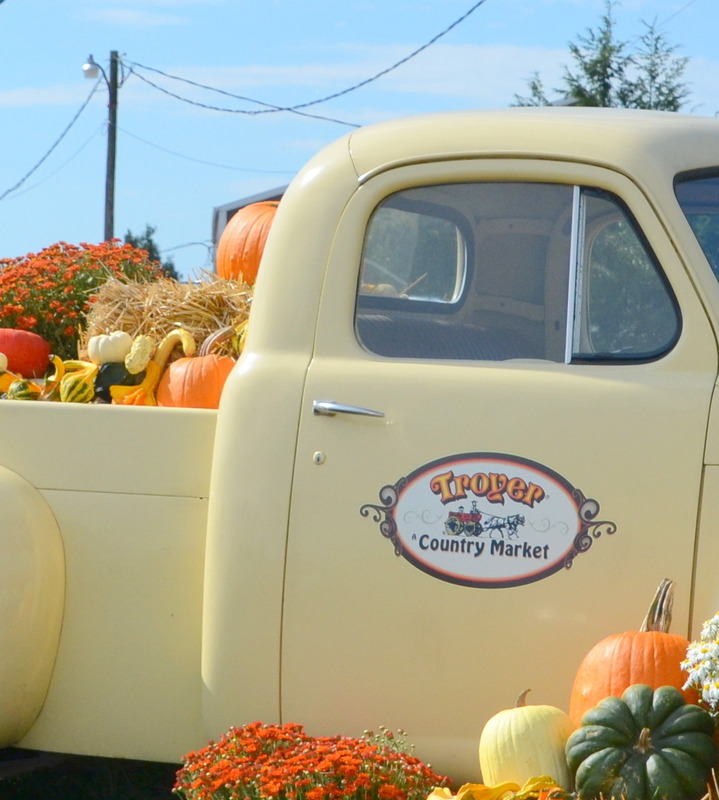 The truck is a fun way to advertise, piled high with produce! 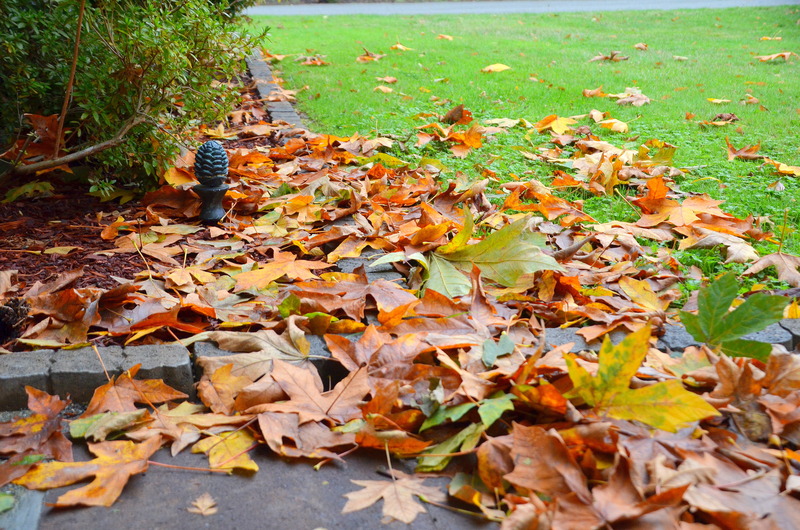 I really like your shot of the leaves & for us gathering & raking leaves is the way we tidy the yard. wow, that’s a lot of leaves…and such pretty colors. You will never left one of those restaurants hungry. The truck has such creative graphics. lovely presentation. Hello, pretty fall images. 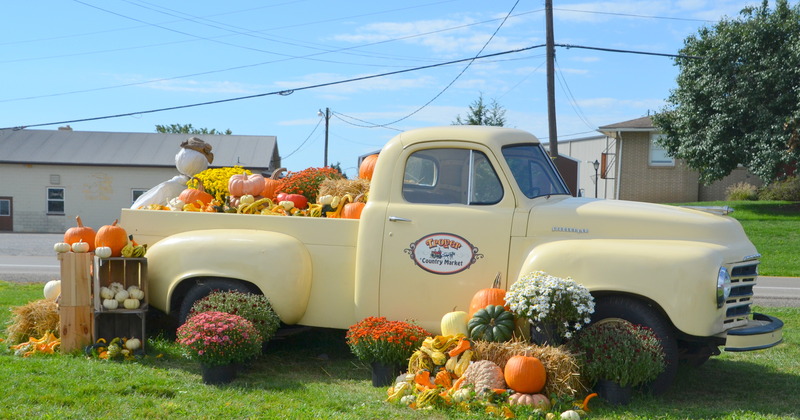 I love the old truck and pumpkins. Happy Thursday, have a great day! This sounds like a great place. Nothing like a good, home-cooked meal! don’t rake here. the texas wind takes care of ’em. 🙂 what a sweet truck and display! Our neighbor has gigantic maples that drop the leaves and they blow into our yard. Oh well. Bill is good about raking them or blowing them away or mulching them. I bet it’s good to be home. Yes, good to be home. At this old house the leaves come from our neighbor’s ginormous maple, too!! Leaves? Who me? 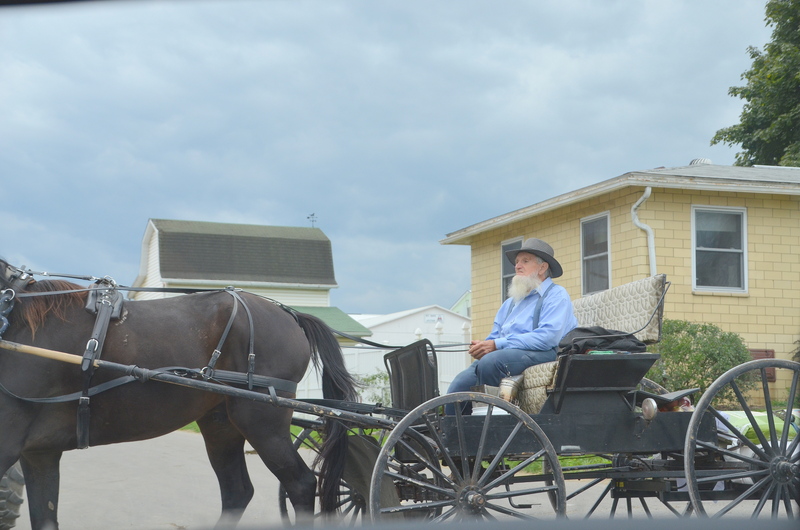 (Been there, done that though in our former life;>) Loved the Amish farm truck and the market … the signs, the pictures, the memories. Such fun. I love the old truck and display – such a nice country drive! We recently moved to a townhouse – (we’re away most weekends) and our old house had LOTS of leaves – too much to keep up with! I love that truck and decorations. Autumn is certainly here. Love your shots. How clever to put aprons on the back of the chairs – I love em. Very pleasant post. 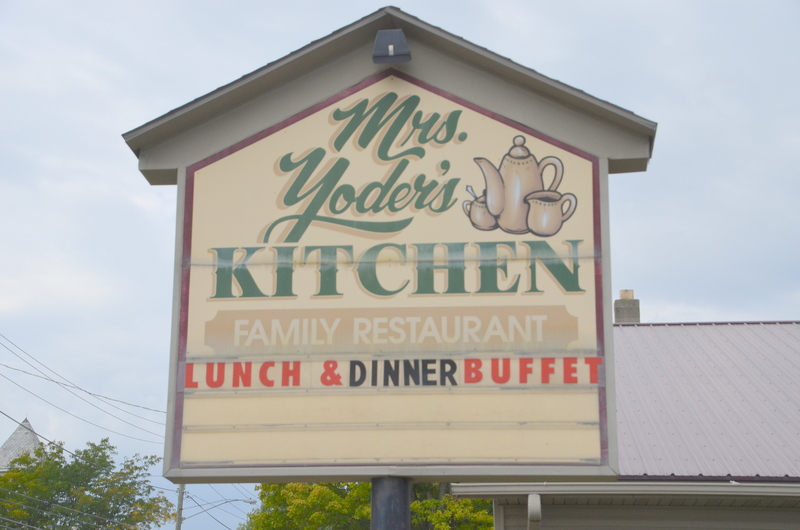 Yoders sounds like a great place. Neat old truck. 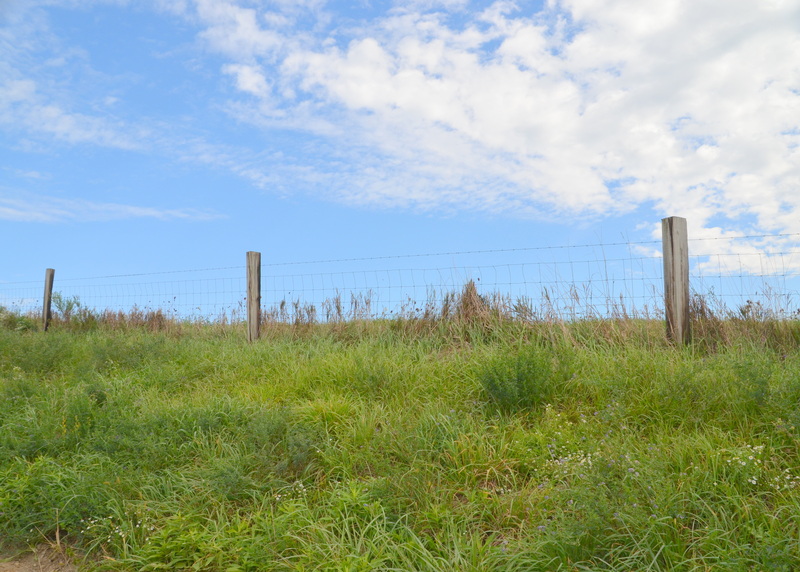 Very pretty fence scene. 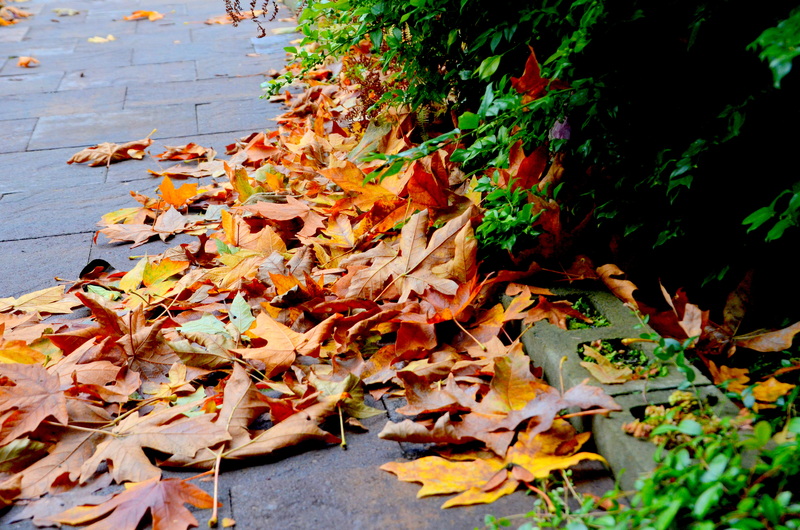 Nice colorful leaves you have to rake. We don’t have to rake many leaves except out back by where we park our cars.